Exactly what I was thinking. I have 3 half dollar sized holes on the transmission/drive shaft tunnel. And a few spots that have bubbles. I figured it would be best to rid myself of any possible problem areas. This guy came out of no were, I am definitely gonna try the POR-15 fiberglass method. Mine doesnt have blowby, I pulled the fill cap while it was running to check..
Phil when i took mine off i wasnt sure what i was doing at first the way i did it though and worked like a champ. (P.s. thought i had blow by too before this.) ran gas through rear ccv orafice attached to valve over and through tube while off jeep off course. Then UnBolted what i thought was some kind of valve then found out that its the ccv orafice on the Intake manifold. I thought it was a valve when in fact it is just a calculated orafice . So cleaned it nice and slow.... p.s. Its a hole straight through on mine and prob yours so skinny screw driver or scribe work wonders then ran cleaner through it. HOLY CRUD when i put it back on it was like a brand new J**P. I did eventually hang my head low and buy the ccv on the valve cover and tube from dealer and that even made it better that back tube is really important also my gas milage went up after that and response. If you have any questions regarding this anyone just ask me i will take it off and take pictures or show in tech breakdown what it is! Blow-by occours only at highway speeds and at elevated torque requests. If you have more than 150/200 k miles you have blow-by. You can check this very easy, have someone give gas in D with brake and hand brake applied. 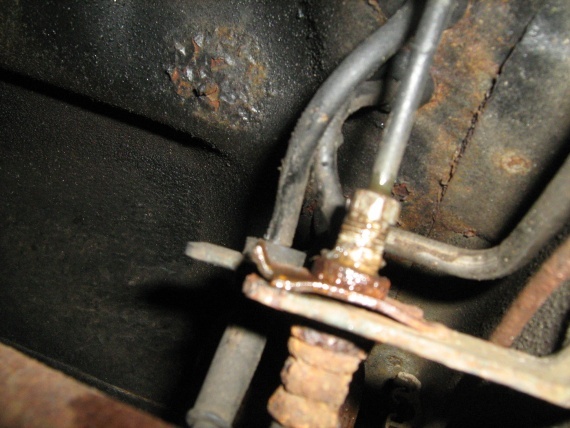 You unplug the breather tube and if you have something coming out of it (exhaust, air, oil etc.) you have blow-by. Very useful Info fantic thank you very much i did not know it was that easy to check you are talking front tube right??? Yes the front one. If you just remove the filling cap like Dylan did you won't have anything coming out at idle. Even if you give some gas, won't blow. You need high torque condtion. Last edited by fantic238; 04-27-2010 at 08:35 AM. Engine: 4.0 lt. 242 cu.in. YEAH no worrys it definately fixed my problem now with my homemade 1/2 cold air intake i need to re route it and put it back into the intake system to complete the cycle. Hove you guys tried using 1 of the old blow by breather valves like on the old 350 small blocks??? For the Bolt is the only thing i can offer right now. 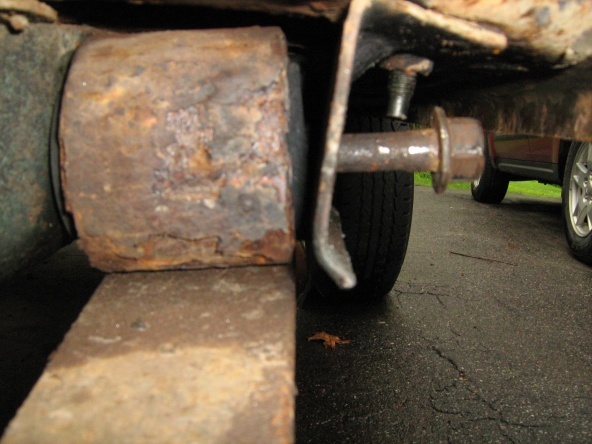 If you have one laying around use a tie rod or ball joint fork and bang it out if it is spinning it is out usually. If you have heat use it on spring to try and expand metal. You mayhave to WHILE ON STAND OR AT LEAST ABOVE STANDS. Jack the axel back up so as to move the spring and take tension off then try to get it out. Since the head of the bolt is already out you just need to force it a little more. If you have a chain you can hook up the bolt and pull it with a weight. A slide hammer would be better though. That fastener is a c clip that you have to pull to free the line from the bracket. i never thought of a slide hammer, nor do i have one but i can try to jerryrig one up. and as for the clip it just slides out with some force? sounds better then what i tryed doing..
No but wouldnt that be too restrictive? When I am driving and stop at a redlight, stop light w/e and then take of it will rev then shift kinda rough does anyone have an idea about this?